Located in Baltimore’s historic Harbor East neighborhood, the Four Seasons Hotel and Residences is a luxurious waterfront retreat. The gorgeous location and thoughtfully designed amenities make the Four Seasons the perfect destination for anyone looking to escape and rewind. Harbor East is a pedestrian-friendly neighborhood located on the Inner Harbor. This lovely area features a variety of shops, eateries and entertainment opportunities. Residents and visitors can easily access the waterfront. The Four Seasons Residences feature sixty-two brand new condos. The condos include fantastic views of the Inner Harbor as well as popular features such as marble countertops and additional storage. The prime location of these condos makes it possible for residents to walk or bike to everything the area has to offer. Four Seasons Private Residences come with all of the same luxurious qualities and features you’ve come to expect from Four Seasons. These condos are constructed from only the finest materials and every detail has been considered. State-of-the-art amenities include convenient concierge service, valet service, fine dining, a private fitness and health center, swimming pool, sundeck, a small park and more. The condos are located on the 19th to 27th floors of the building, directly above the Four Seasons Hotel. Residents can take advantage of all of the perks of living at a hotel including room service, laundry and a personal chef. No other condo community in the area offers this level of service. The community’s amenities are located on the 28th floor of the building and include a club room with gym, dog walking area, entertainment space, golf simulator, yoga room and infinity pool. Condos have built-in smart features. Lights, televisions, temperature, security, intercoms and window shades can be controlled quickly and easily from an iPad. Units at the Four Seasons Private Residences Baltimore are selling extremely fast and are expected to sell out soon. Interested parties are strongly encouraged to act quickly. 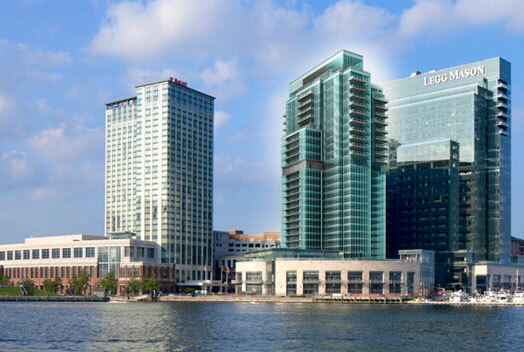 Prime Building Advantage handles sales and marketing for the Four Seasons Private Residences Baltimore. Please contact us to learn more about this property.